Built in 1937 this unique two-story stucco house was designed as a mortuary. Since 1954, the building was owned and operated by Roscoe (Ross) Gage and Alma Martin. Mr. Martin came to Red Lodge in 1915 and later served as county coroner. The historic name of the house is Martin Mortuary. 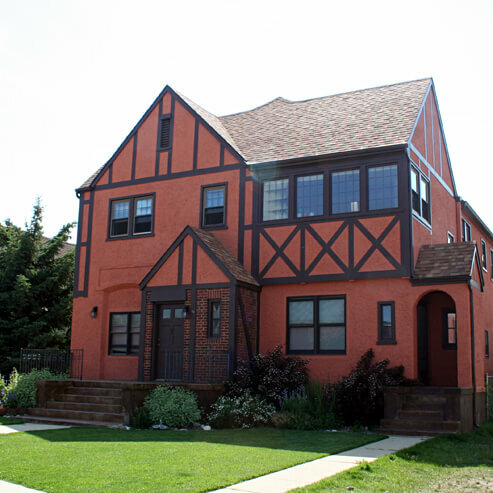 This house is now part of the Red Lodge Clay Center and serves as living space for the center’s resident artist.